The world today finally saw Manipuri activist Irom Sharmila without her trademark nasal tube. She ended her fast with honey in Manipur, after being granted bail by the court. This is the first time she was eating willingly in 16 years. In all these years, she had been force-fed through a nasal tube. 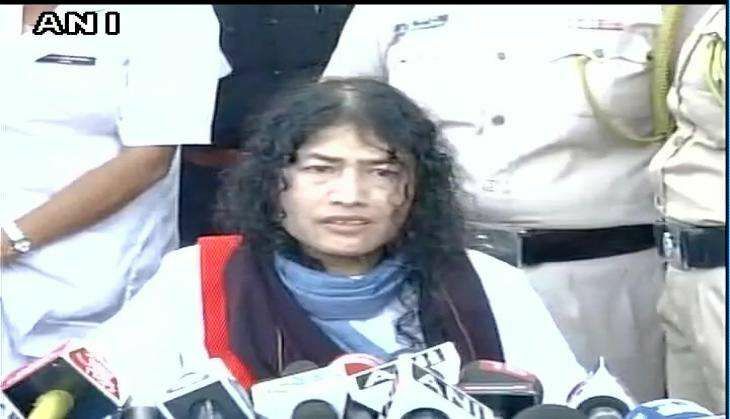 Irom Sharmila addressed the media after breaking her fast, and announced her decision to join politics and contest elections. She said by breaking her fast she was only changing her tactic of protest and not giving up on her goal of getting AFSPA removed, which has allegedly been misused by armed forces against Manipur. She added that she needed power to achieve her goal and thus wants to be the state's chief minister. In fact, the Congress has sent out feelers. Praising Sharmila for her determination, the Congress on Tuesday hinted that the grand old party will welcome the iron lady of Manipur in their party, if she wishes to join the political outfit. Manipur Congress president TN Haokip hailed Sharmila's decision to contest elections and said the latter is a determined person who will stick by her commitments. "We know she is a very determined and committed person. Once she takes a decision she will stand by it. Her becoming a part of Congress is a decision of the election committee. We will welcome her if she wishes to join our party," Haokip told ANI here. The 42-year-old Irom has been on a hunger strike since November 2000. Irom began her hunger strike to protest the death of 10 Manipuris who were shot dead by the Assam Rifles in Imphal. Sharmila was arrested and released from jail several times under Section 309 for attempted suicide. According to reports, Sharmila had earlier rejected Aam Aadmi Party's offer to contest Lok Sabha elections under its banner from the inner Manipur Lok Sabha seat in 2014. Despite repeated calls to withdraw the AFSPA from UN experts as well as national and international groups, the Act continues to be enforced.